I did not have anyone with me to take a launch picture. I weighed the motor, 36" long, 24 strands of 1/8 FAI Tan II from the 90's and it was (I think) 2.83 ounces. I put in a little over 200 turns on the first flight and it flew well actually getting up there to my surprise. 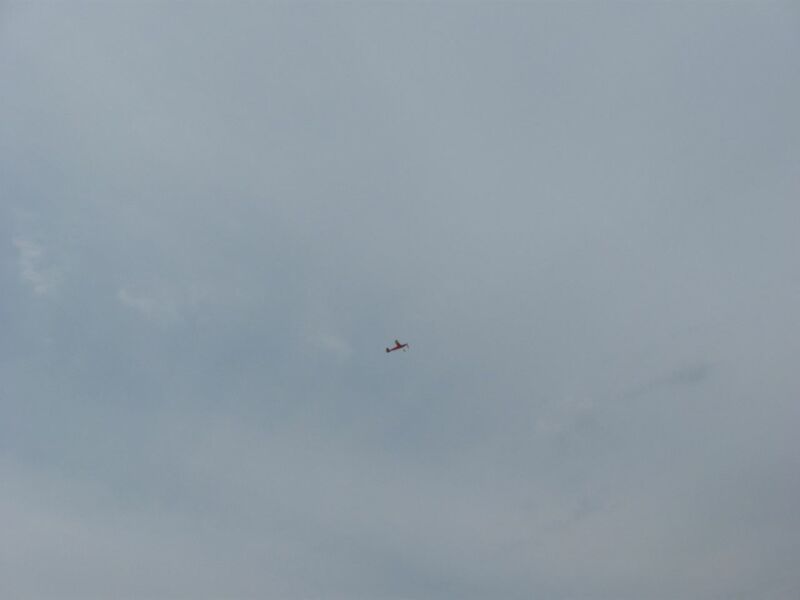 My second and last flight showed 472 turns on the winder and it got up quite high, picture in the air to follow. The glide can best be described as "floaty" or superb. Cheers, cccnh out in the Rural American West, Lewistown, Montana, home of The Greater Central Montana Co-Prosperity Sphere p.s. 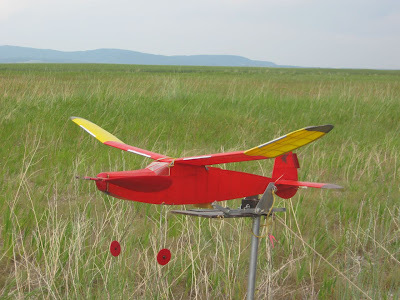 this model was built in about 1997 or '98 and this is the second prop which is much better than the first one. Very little vibration. Having a swell gin and tonic and basking.